JuiicyScoop: Whitney and The King of R&B Back Together Again.. Guess who's bizzack! The undisputed King of R&B and his boo Whitney! 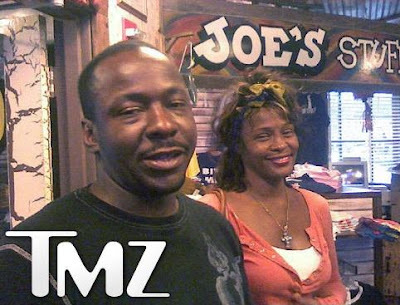 This classy couple was spotted together at Joes Crab Shack in Alpharetta, GA celebrating Whitney's 44th Birthday. Dang, its like that?! I don't even eat at Joe's...I at least go to the deaux. Man! Her and Ms Hill need to make a song together... a remake of Ahmad's back in the day.